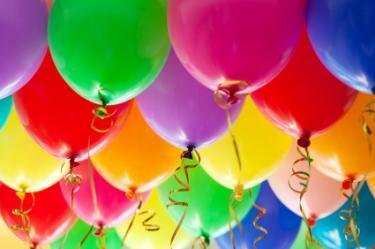 If you or a loved one is turning the big four-zero, you will need some special 40th birthday party ideas to celebrate. In addition to the yard signs and crepe paper décor, there are many ideas to incorporate to turn the celebration into something unforgettable. Organize your loved one's 40th birthday bash by taking the following steps. Saturdays may be the best for many adults for an evening party. Many adults have weekends off, so they will have an entire Sunday to recover from a late night out. If you're throwing an afternoon party, consider Sunday afternoons when children are less likely to have sporting events and other activities. Avoid weekdays, which tend to be filled with work and family life events. Your budget will determine everything from how many people you invite to the types of food and drinks you will serve. However, don't despair. Even if your budget is small, you can still throw an inexpensive party that's a lot of fun. Planning a guest list can feel a little tricky. Sometimes it's difficult to know who to invite and where to draw the line with guests. Start by determining how many guests your budget will allow. Next, make a list of the guest of honor's friends, family, and co-workers that you might like to invite. Go ahead and list everyone you can think of here. If it's not a surprise party, ask the guest of honor whom he or she would like invited to the party and add those people to the list if they are not already on it. Pare down your list, giving priority to the guest of honor's choices, as well as his or her closest friends, family, and associates. Is this an adult party, or will it be a family event that includes children, as well? The guest of honor may want children included if s/he has a family; however, it could be a good excuse to have an adults-only party, too. Check with the honoree to find out his or her preference. Will the party be a formal party with a beginning and end, or will it be an open house? An open house usually lends itself to a longer guest list, as people are coming and going in the space. How much room is available in the venue? Guest list size is venue-dependent. If you're throwing a dinner party, only invite the amount of people you can fit around your dining room table. Select a good mix of people. Try to ensure that everyone you invite will know and get along with at least two or three other people attending the party. The venue needs to have plenty of room for people to sit and stand as they navigate the party. If you've chosen a venue other than home, it is essential you call ahead and reserve the space before you invite your guests. If your theme has any requirements of your guests, such as bringing gag gifts or wearing all black, be sure to indicate that on the invitation. Many of the above options allow you to create your own wording for the invitations. Be sure to include all pertinent information including date, time, venue, theme, where the guests should RSVP, and what guests should bring, if anything. Design a 40th birthday cake. If you are serving cocktails, also have at least one non-alcoholic cocktail available for people who don't choose to imbibe. If you are serving wine, plan to have enough wine for everyone at your party. Along with cake, plan to have party platters, appetizers, or canapés, and calculate how much food you'll need for your guest list. If you're planning a dinner party, plan several courses such as appetizers, salad or soup, main course, and dessert, as well as beverages for each course. Coming up with a creative theme makes planning a party a breeze. A theme can be used from the invitation to the cake and tie everything together. While 40 gets younger every year, most people still consider 40 the age when they hit the top of the hill and start heading down the other side. 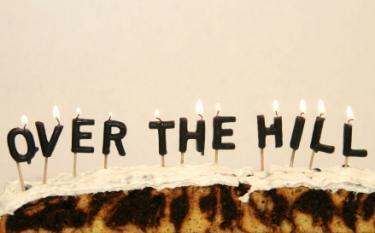 Yes, the "over the hill" party is traditional, but that can be a plus. Everyone will know what to expect. 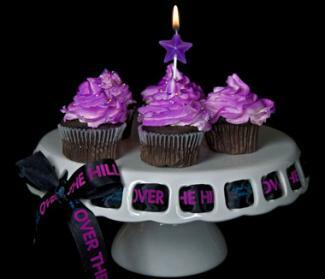 Black décor and tableware, maybe a hearse-ride to the restaurant, a headstone in the front yard, and games like "Now that you're 40, you can't ...." are all perfect for this milestone birthday. Serve a combination of mushy foods, like mashed potatoes or baby food, and black or dark foods, like black olives, licorice, prune juice, red grapes, brownies, and so on. Nostalgic retrospectives are always fun as a party idea, and 40 is a good time to look back and see what someone has done throughout his life. Plans don't have to be complicated. Make the décor simple. Pull out the pictures from as far back as you can go and amass the trophies and awards on a draped table behind the buffet. For lots of laughs, encourage guests to come dressed as if they were in the birthday person's high school or college class. If possible, invite an old teacher or mentor as a second "special guest." If you can get two or three significant people from the honoree's life, stage a real "This Is Your Life" retrospective. If there was a restaurant that the individual and his friends used to frequent in high school or even a food that he used to love, you can serve those types of foods at the party. If the restaurant is still in business, you can bring it in straight from there. Food in the 1950s often included gelatin salad on avocado green plates. 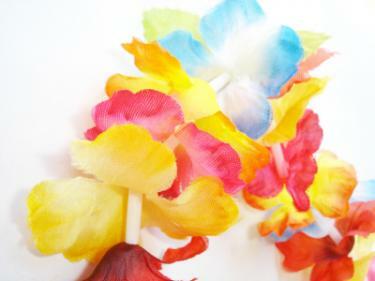 To represent the '60s, serve food on tie-dyed table linens. In multiple places around the room, or on the various tables, have collages of various items that were new in that decade. In fact, there are a lot of people who've witnessed the birth of the personal computer, the compact disc, the DVD, the SUV, and several other inventions that are commonplace or even obsolete by now. Play popular music from the four decades during the course of the party. Raffle off some of the retro decorations and give the money to the birthday boy or girl; otherwise, give them away as game prizes. Some of the best 40th birthday celebration ideas require extensive planning. A murder mystery party can provide an unforgettable interactive evening for guests as they take part in a murder investigation aided by friends and family members playing the roles of suspects. Pre-made murder mystery kits are available, or you can create a custom script for your event. A 40th birthday scenario could perhaps set up the "victim" as Age 39 or Youth. You can either serve a sit-down dinner or have an assortment of hearty appetizers for guests to eat as the mystery progresses. "The Party Continues" emphasizes the fact that the best is yet to come. "Thanks for the Memories" allows guests to share their favorite times with the birthday boy or girl. A Hollywood or movie-related theme lets you give the guest of honor the red carpet treatment. Taking a trip is great idea for a 40th birthday party. Whether you stay near or go far, it is sure to be a fun trip for the birthday man or woman. Take a tour, maybe in a limo, of the places that the birthday person used to frequent as a traveling 40th birthday party idea. Visit the childhood home, the elementary and secondary schools, "grandma's house," and any special theaters or parks. End the tour at a favorite restaurant for dinner and celebratory desserts. Very few decorations are needed during the tour. At the restaurant, a scrapbook or small photo arrangement of the birthday person's life over the years makes a nice welcome display. Find out someplace that your birthday person has always wanted to visit, and gather as many friends as possible for a special surprise party. If you or your friend have a bucket list with a destination or two listed, try to take the party to one of those places. If the birthday person is already going somewhere special to celebrate his 40th birthday but isn't planning to have a party there, rent a banquet hall or other space to accommodate the number of guests and have his travel partner get him there at the appropriate time for a surprise party. If the place the person wants to go is too far for guests to travel or if it's too exotic for a good surprise party venue, then recreate the place in a local banquet hall. With enough time and the right people, you can create just about anything on a small scale. Decorate as much as possible so that it almost feels as if everyone's entering a foreign locale as soon as they walk through the door. Is there special food served in the location of the birthday girl's dreams? See if you can find someone to make it for you or attempt to recreate it yourself. 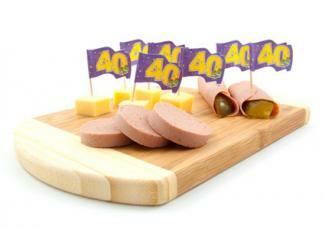 With just a little thought and planning, you can make a 40th party that is fun, memorable, and anything but typical. 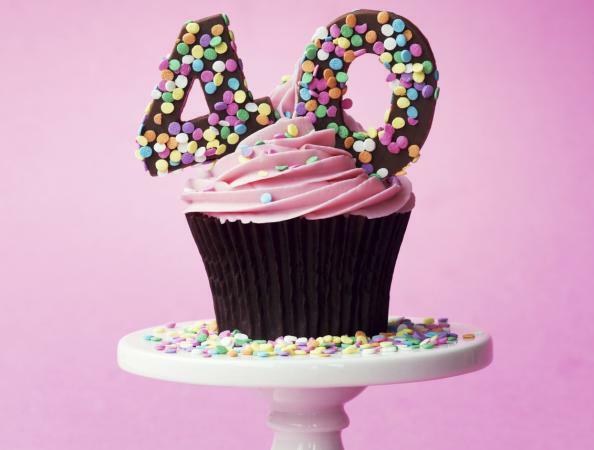 Turning 40 ranks up there with turning 16 or 21 when it comes to traditional ways to celebrate; just be sure to add untraditional twists to make it meaningful for the person who's celebrating. She's lived a life full of experiences and love, and there are plenty of additional dreams she'll want to fulfill in the next few decades, so there's plenty of material to work with. Unleash your imagination and let the party begin!